January of 2012 will mark 25 years since The Honorable Clarence “Du” Burns held office as the first Black mayor of Baltimore City, Maryland. 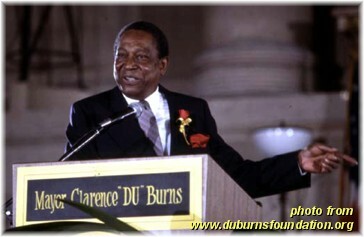 The “Du” in his name was fabled and symbolized the fact that Clarence Burns was a person who could “get things done”. In the late 1940’s Mr. Burns helped to deliver the Black vote for then Mayor Thomas D’Alesandro, Jr. (Congresswoman Nancy Pelosi’s Dad) which helped get Burns the job as a shower attendant at East Baltimore’s Paul Lawrence Dunbar High School. Word of his ability to get things done began to spread … so much so that his middle name may just as well have been “Do”. And so the “Do” was adopted as his trademark. I suppose spelling it with the “Du” gave more of a surname prefix feel. I would wager there are still a good number of folk would be amazed to know that his last name – as far as Uncle Sam was concerned – was “Burns”. Nevertheless, I am anxious to see how loudly and how clearly the name Clarence “Du” Burns will ring when January 2012 rolls around … or if there will be any real mention of his legacy at all. When Mayor William Donald Schaefer headed to the Governor’s Mansion in 1987, “Du”Burns, who was the sitting President of the Baltimore City Council, moved into the Mayor’s office to finish out the remainder of Schaefer’s term. “Du” Burns and Schaefer knew each other and worked well together. With Schaefer moving to the Governor’s Mansion in Annapolis and “Du”Burns in the Mayor’s slot, Baltimore was well positioned to benefit from both a Mayor and a Governor who knew Baltimore intimately. The fact that Schaefer and “Du”Burns got along well together could only be viewed as a plus … but there were those who felt differently. Baltimore had been an industrial, blue collar town for many decades but times were changing and the industrial age was coming quickly to an end. Bethlehem Steel and the General Motors plants were closing. Good paying jobs were being lost and undereducated workers were going to be at a tremendous loss if they could not get back to work. Schaefer, ½ Vaudeville showman and ½ mayor but all politician, sprang into action! He began to focus, almost totally, on the revival, reconstruction and repurposing of Baltimore’s inner harbor. One minute he was playing “Trashball” in an effort to promote keeping the city clean and the next minute he donned (no pun intended) an old fashioned bathing suit – replete with sun hat, water toy and mermaid – in an effort to lure the National Aquarium to Baltimore. He was successful. William Donald Schaefer became known for what some would call a home grown charm and appeal but he was just as well known for his temper with those who disagreed with or criticized him and could be quite snarky. Billowing in the wings of Baltimore’s cirque de politique was an intelligent group of young, ambitious Blacks who had grown tired of Schaefer, his antics and their belief that he lacked the urgency necessary to remedy the tragedy that had become the socio-economic condition of many of the city’s poor folk. They saw the harbor thriving while the entire public school system and neighborhoods, less than one mile in any direction from the harbor, languished. Famed attorney, fellow native son and former Circuit Court Judge Billy Murphy, Jr. rolled the angst and impatience of many Baltimoreans into a fiery campaign against Schaefer in 1983. Murphy believed that Schaefer’s neglect of neighborhoods was apodictic rendering his challenge (Schaefer’s camp would probably chose “attack”) both necessary and inevitable. As time moved on more of these “young guns” became prominant. None were as quick on the draw as Murphy, but they were all just as ambitious. They believed that if “Du” Burns were to be elected mayor he would be nothing more than Schaefer’s puppet, paving the way for at least four more years of “Schaefer-esk” policies, neglect and further despair for neighborhoods and the public school system. One of these young, ambitious Blacks was Baltimore City State’s Attorney, Kurt L. Schmoke. Here was yet another young, native son who was intelligent and had been to the “best” schools in the land. In 1967 he entered Yale and after graduating in 1971 he studied as a Rhodes scholar at Oxford University then went on to get his J.D. from Harvard. Twenty years after entering Yale, Kurt Schmoke was running to be the first elected Black mayor of Baltimore City … against the first Black Mayor, one Clarence “Du” Burns. “Du” Burns was no longer a “shoe-in” for the post. Quite to the contrary, many people jumped aboard the Kurt Schmoke bandwagon primarily based upon his education, though I doubt many (if any) will be honest enough to admit that fact. The irony was that a great number of those folk had less education than “Du” Burns and much more in common with him than with Schmoke. And if we didn’t know then we need only to look to President Obama to learn political prowess and expediancy have more to do with relationship building and trust than intellect. When the Sunpaper and other polls showed that “Du” Burns was trailing Schmoke badly (some had Burns as many as 30 points behind ) all the “smart” (pun intended) money got behind Schmoke making it extremely difficult for the “Du” Burns campaign to raise money. As one might be able to discern – lack of education, age and inability to raise money (based on what the polls were showing) – all of these factors hurt “Du” Burns’ chances tremendously. The Schaefer connection cut both ways … in some areas of the city it was a help, while in others, it was a hindrance. Many were expecting a landslide victory for Schmoke, but he only won by about 5,000 votes. It was one of the most competitive elections in Baltimore City Mayoral history. With all that “Du” Burns had to contend with you could almost call that a victory for someone many thought would never amount to much more than a high school shower attendant. You may ask how I came to know so much about this particular race and if you did I would reply, “Because my father was ‘Du’ Burn’s campaign manager”. 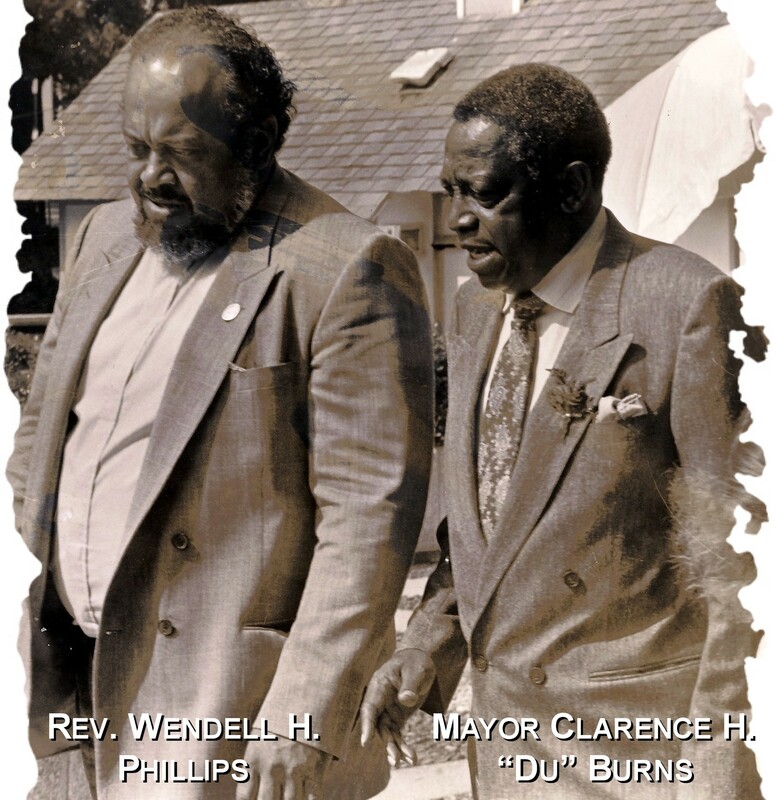 Below you will find what Dad wrote in his journal regarding timing, respect, the oneness of the Black community and why he supported, believed and worked for and with Clarence H. “Du” Burns for Mayor of Baltimore City. The integrity of each individual’s commitment to the overall agenda of the Community. The subjugation of personal agendas for the agenda of the Community. Each individual’s commitment to heal. The commitment to true community (not to be confused with uniformity) must transcend all other commitments and drives, be they religious, political, social, educational or financial. Singleness of purpose and vision: the liberation of all, yea, even the least of these! Willingness to risk by reaching out and down for a brother or sister who has lost all hope. A thorough understanding and appreciation of our unique history and struggle that we might better understand from whence we’ve come and that we are where we are in life only through the grace of God and because others who have lived before us were willing to make the supreme sacrifice! There is an interconnectedness which must be passed on from generation to generation. A trusting of each other for our destinies are intertwined! 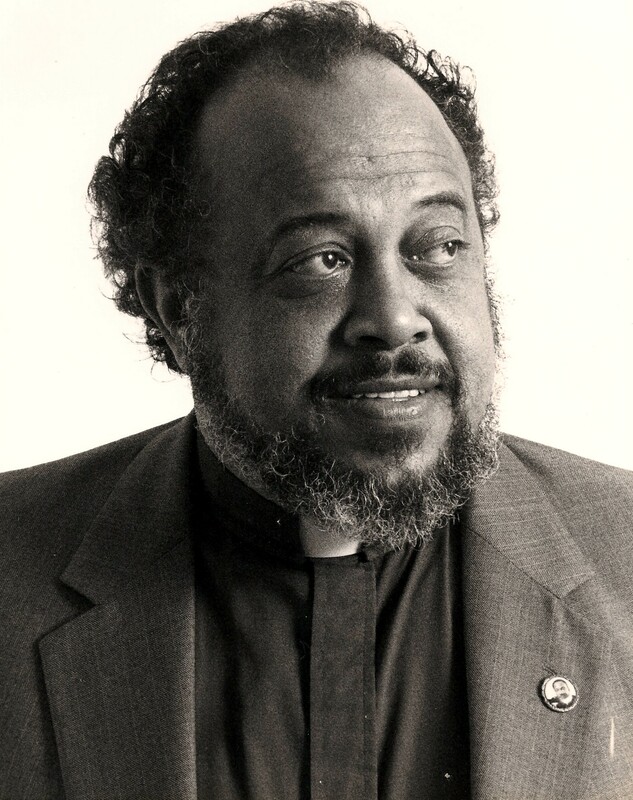 We must realize that when we encounter those who think differently than we do, the moment of encounter calls for celebration of their uniqueness not denunciation. As they may be difficult to endure for the moment, each one of us has his/her moments of being difficult with others! I say all this to say that an enormous amount of blood, sweat & tears has been shed in the struggle to achieve one of the high priorities of our total community … a Black mayor of Baltimore City! Finally, through the grace of God and perseverance, we have one, the Honorable Mayor Clarence ‘Du’ Burns! But now, even before he begins to take the reins, there are those who wish to unseat him and risk losing mayoralty altogether, sending the total community back to square one! Why? Because some ‘don’t like the way he talks’ or ‘he hasn’t been to college’ or ‘he’s just a shower attendant’! But does it not make a significant statement on his behalf that he has been able to move up from a shower clerk to city councilman to President of City Council and finally to Mayor? The real mark of a man and his character is NOT determined by the heights he may achieve but rather the depths out which he has climbed! Certainly, God has had a hand in the Mayor’s journey! One would also have to admit that the Mayor must have accumulated a tremendous wealth of knowledge about City government and the politics of getting things done. And now, after all the struggle and grief that the Mayor and his family have endured, as he comes to the sunset of his career and life, there are those who not only would oust him but risk our –Blacks – losing the mayoralty for good! Certainly Mayor ‘Du’ Burns has weak points – so do we all! But why not, where ‘Du’ is weak, shore him up? That’s the history of our whole struggle from Day 1! Can you imagine a more positive statement or a brighter ray of hope for all young Blacks than ‘Du’ being ‘Mr. Mayor’? It says no matter how humble your beginnings, if you have the faith, determination, singleness of purpose and commitment, there is no height to which you cannot ascend! The piece we ought be fighting for, which is NOT in place, is ten seats in the City Council! That would be a much more productive and beneficial endeavor for all of us; for if we insist on spilling blood on the mayoralty, the fall-out will negatively impact every other political race in the city and we will lose! Isn’t it strange that Jesus wasn’t embarrassed by His disciples even though they left much to be desired?! They were just twelve ordinary men … some of whom were crude, rough fishermen! No orators, certainly not scholars but men who had a desire to serve their fellow man! But their experience enabled them to deal with the most powerful of all principalities. ‘Du’ may not be the most learned of all men … he may not have the eloquence of a King but he does have the ‘toughness’ and know-how bestowed upon him by years and years of struggling just to survive and lift himself up. That is what’s needed in these difficult days in which we are presently living. Degrees, has ‘Du’ none but scars from the struggle, many! Do we let our own struggle to the top just so we can topple them once there or do we enable them to remain there a few years by strengthening them where they are weak and working along with them to make sure they have the best administration ever? Do we not realize that what happens to the first Black mayor, especially, makes a statement about all of us?! Do we honor him and thank him for persevering to this point or do we just toss him aside? Hey Leslie, I was taking the same trip! Baltimore’s political history is fascinating to say the least. Thanks for stopping by. Hey Karin, thanks for visiting the blog. Dad was certainly consistent and thoughtful and I thank God for that fact. His writings are where he wrestled with so many issues; the political, the spiritual and the otherwise deeply personal because ALL of his thoughts were heartfelt and he truly believed his actions in all arenas were part of his calling. I remember hearing people distort his thoughts on Kurt and dismiss the “ministry” that was the “Du” Burns campaign. There were even those within Du’s camp who missed it … but it was there nonetheless and you were part of it. As an unabashed ‘operative’ in East Baltimore for Kurt Schmoke, I unashamedly and unabashedly say you are right on the mark with your assessments. For me, Du was a product of my youth. This meant for me he was a part of my past and present. Whereas,Kurt had been a part of my past at City College and at Johns Hopkins where he came from Yale to be interviewed for the Rhodes Scholarship. He was a part of my present in that I worked tirelessly to get him elected City State’s Attorney. For me, he was a part of my future, he was the All American ‘boy’ that would make us proud. Unfortunately for me and those of my generation and ilk who railed against Du, the father to many a wayward youth in East Baltimore, where he opened up the gym so we could play basketball late into the night so we would be off the streets, or where he organized and supported baseball players who were not allowed to play for Mary Dopkins baseball team because they were Negroes, we forgot to “honor our father”. Many years later we served together on a local community health center board of directors. One night after the meeting, I pulled him aside. All of the time we served together, we never had a cross word between us but I did not detect the same Du I knew in my youth. I wanted to make sure he recalled me. He let me know in typical Du fashion that he knew who I was, that I had brought Kurt over into his district and that I might have cost him some votes. It was more a grandfatherly rebuke than it was a political reaming. It was at that point that I said to him some of the words you are repeating from your Dad, although nowhere nearly as eloquently. He accepted my apology but told me it was not necessary. You see, for as much as it would have been an honor for Du to be elected Mayor, it was more about the advancement of his people as a people far into the future. He reminded me, “…Hell, I can go to New Orleans and listen to some Jazz, we got people in East Baltimore who can’t get to West Baltimore. I now serve on the board of the community corporation he helped found. In part to honor him.